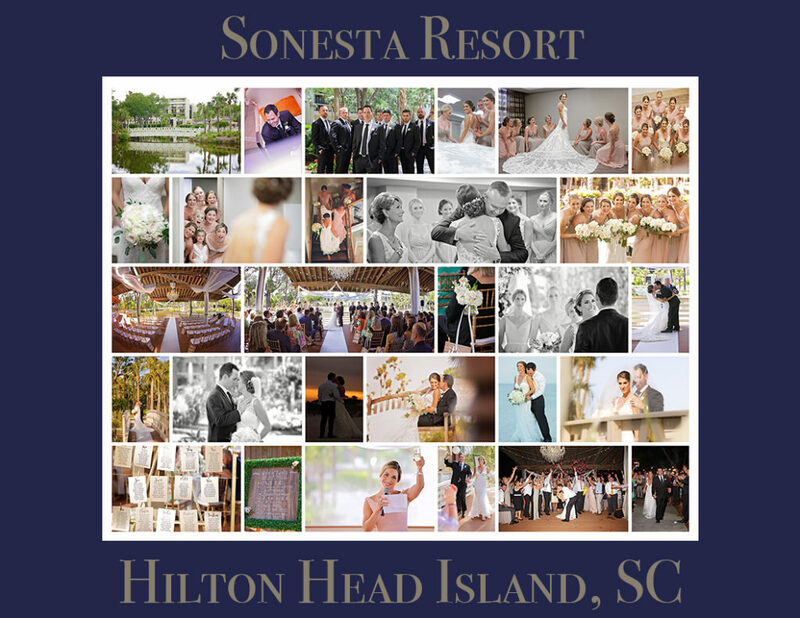 Take advantage of the natural beauty of Hilton Head Island and plan your “I do” day at Sonesta Resort Hilton Head Island. The picturesque courtyard leading to the ocean and Atlantic beaches offers you and your guests a true Low Country island experience among Hilton Head wedding venues. The Oceanfront Beach Pavilion, our most popular wedding venue, provides 7,000 square feet of space nestled between our lush grounds and the pristine South Carolina coastline and features remote-controlled dropdowns with heating elements for year round comfort. Our location in Shipyard Plantation grants us exclusive access to the Shipyard Beach Club, a facility with an oceanfront deck and gazebo that boasts a panoramic view of the Atlantic as well as indoor space with a plantation-style breezeway, perfect for 35-100 guests. The Santee Ballroom is the most flexible of all our venues Elegantly decorated, it features 10,000 square feet of function space and can be adjusted to accommodate events of 25 to 350 guests. Additional event space includes Heyward’s Terrace, an open-air atmosphere perfect for intimate weddings or a cocktail hour with views of the tropical courtyard and lagoon area. Whether you’re dreaming of a casual beachfront wedding or an extravagant affair, you’ll receive Sonesta’s acclaimed Food is Art culinary experience, an on-site Certified Wedding Planner and highly skilled staff to coordinate your perfect day, beautiful bridal suites, and well-appointed guest accommodations sure to please your entire party. Allow our experienced Wedding Specialists to make your perfect day a reality. From start to finish, we’ll assist you in creating an unforgettable weekend filled with joy, love, and memories. View more weddings from this venue Sonesta Resort Hilton Head Island, SC.